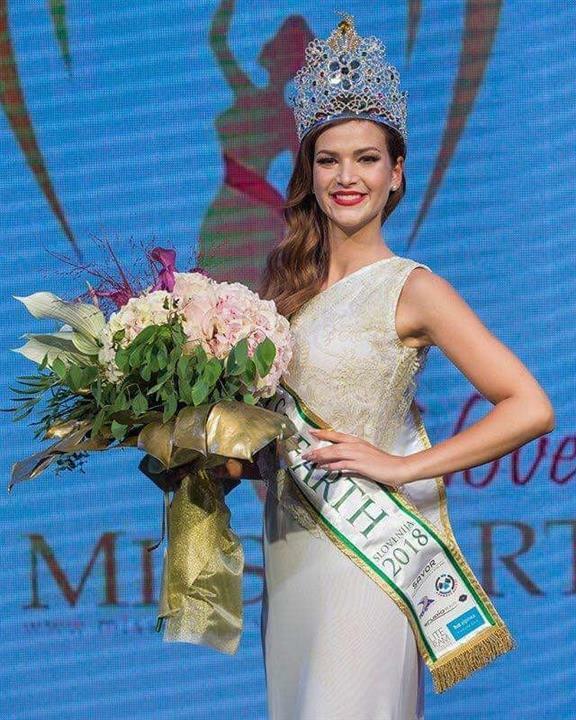 At the grand coronation night of Miss Earth Slovenia 2018 held on 15th September 2018 at Festivalna Dvorana in Ljubljana, Slovenia, Danijela Burjan was crowned the new queen. She succeeds and was crowned by Sara Gavranic Miss Earth Slovenia 2017 and will represent Slovenia in the upcoming Miss Earth 2018. Danijela bested nine other divas to win the national crown as the contestants went through a rigorous process of selection from the jury in three rounds. Danijela is a 23-year-old student who has just completed her 4th year of veterinary medicine and enrolled in the next year. In addition to studying, she has a great passion for singing. Not new to the pageant world, Danijela was the Emerald Queen 2017 and the finalist of Miss Universe Slovenia 2017. The gorgeous divas who competed for the national title were Brigita Jakomin, Aleksandra Bajc, Sandra Zulic, Kaja Jokic, Jelena Stankovic, Nika Gruntar, Danijela Burjan, Alja Hrastar, Ema Petan, Karmen Tegelj and Nika Kar. Slovenia is yet to win its first ever Miss Earth title. Last year, Sara Gavranic represented Slovenia in Miss Earth 2017 but unfortunately failed to secure a place in the Top rankings. She won a bronze medal in National Costume Round (Eastern Europe category). Do you think Danijela could bring home the first-ever Earth crown to her country?